1959 Simplicity #2954 vintage sewing pattern, misses' one-piece dress with V-neckline, full skirt and cummerbund, size 12. 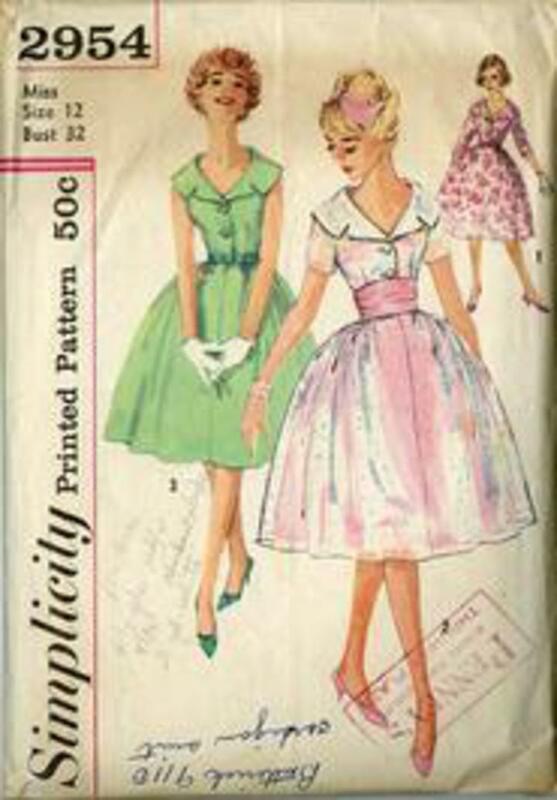 Dress has wide lapel collar, button front closing and a flared-gathered skirt. V. 1 and 2 have set-in sleeves. Sleeveless dress features ribbon belt with bow.